Design and promote world-class training programs and services to advance academic and administrative leadership for higher education and organizational leaders globally to promote positive change. A premier leadership development organization, developing transformational leaders. Committed to excellence and continuous improvement, developing and training leaders while recognizing and respecting the needs and diversity of our clients. Prior to 1990, leadership training was almost exclusively reserved for executive-level leaders in higher education. With an influx of newly appointed, mid-level leaders across community college systems, the Maricopa County Community College District (MCCCD) leadership recognized the necessity of preparing these leaders for their new roles as department chairs, managers, and administrators, while enhancing their skill sets to address the many challenges they would face. With guidance from Paul A. Elsner, Chancellor of the MCCCD, and Mesa Community College President, Larry Christiansen, a select committee of leaders began looking for a leader development program that would be embraced to meet Maricopa's needs. Not finding what they were looking for, this committee originally decided to develop a program within Maricopa specifically focused on developing department chairs at the community and technical college level. 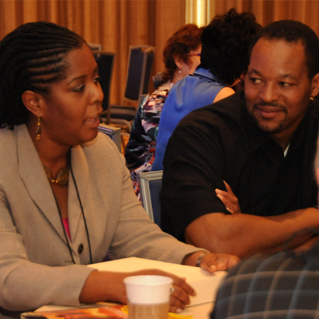 With the financial support of the district, the committee laid the groundwork for the first Annual Leadership Conference, including learning-centered concurrent and roundtable sessions, best-practice workshops, and relevant keynote speakers who understood higher education and organizational issues. The success of the first conference provided the committee a platform to develop a comprehensive body of curriculum that would train participants in the fundamental tenets of transformational leadership. The committee collected data from thousands of collaborative surveys, focusing on four specific areas: the characteristics of the position, the responsibility of position, the challenges of position, and resource strategies. These results, combined with modern-day business and leadership principles, formed the basis for the Chair Academy and its Leadership Practicum. 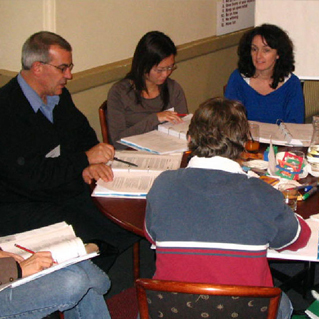 Dr. Gary Filan, the Academy’s founding Executive Director, conducted the first Academy Pilot Program in 1992 with participants from across North America. The ideas and input compiled from this pilot program became the foundation of the Academy for Leadership and Development. With the realization that community and technical colleges were continuing to experience rapid growth and expansion, the need to prepare individuals and organizations for these leadership challenges was a priority. The Academy program content and curriculum continued to create the kind of experience and insight that engaged participants in the leadership development process, regardless of position or persuasion. The Foundation Academy became a fully integrated curriculum presented to leaders and practitioners throughout higher education. By the end of 1994, the Academy had expanded across North America. And with this progression in delivery, the academy also expanded its audience from solely department chairs to all organizational leaders at the college and university level. In the years that followed, the Chair Academy’s global reach extended to programs in Guam, Australia, Europe, China, and the Middle East. With the success and growth of the Academy’s Foundation Programs, including its more than 6,000 alumni, the question “What’s next?” became a fresh call to action. In response, the Academy developed an Advanced Program, one that would expand on the fundamentals of the Foundation Program and serve the developing needs of veteran practitioners. While the Foundation Academy was not a prerequisite to the Advanced Academy, it has always been strongly encouraged. 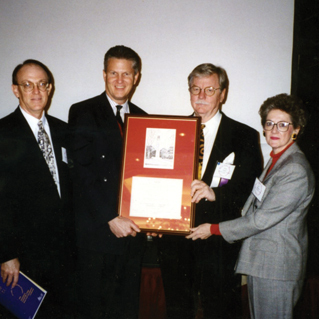 In 2005, the first Academy for Advanced Leadership was delivered in Phoenix, Arizona, with global participation. The Chair Academy has gone through its own period of transformation, with the retirement of both Dr. Filan in 2012, and its recent Executive Director, Dr. Richard Strand. As new leadership emerges, the Academy is committed to excellence and continuous improvement, “honoring the past while looking to the future.” With a healthy appreciation for our fundamental principles, service of our past leaders, and support of our partners, we will strive to provide higher education and organizational leaders around the globe with relevant and essential tools, skills, and experiences needed to develop talents and facilitate success toward positive change.